There is amazing Idaho Mountain Biking in Salmon and Lemhi County area. If you like big rides with endless trails to explore then add Salmon Idaho the top of your bike trails list! 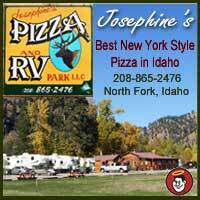 Bike riders of all abilities and styles of riding enjoy the best Idaho mountain biking on our picturesque bike trails. We are the best mountain biking location for comfortable lodging and campgrounds, great food, fun people and organized biking events. Most years Salmon Idaho offers a long bike riding season from March through November. Venture out for casual riding in the foothills in the spring and late fall months. Summer offers extensive high country riding with vast miles of spectacular scenic trails to explore. 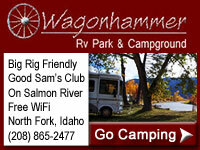 Salmon Idaho Mountain Biking Association is a group actively promoting mountain biking in our area. They organize mountain bike trails clean-up projects and Idaho mountain biking events. Our local BLM (Bureau of Land Management) and Forest Service have been working to establish and sign many miles of trails just outside of Salmon city limits and also in the high country mountains surrounding Salmon. Come check out and ride our Idaho Mountain Biking Trails!